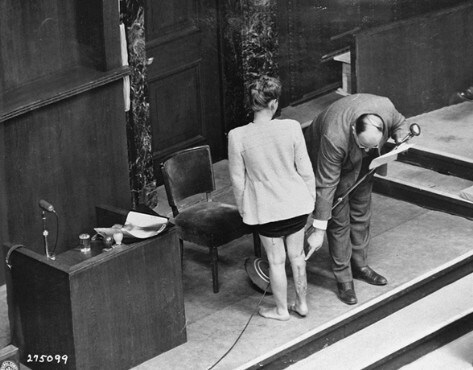 Concentration camp survivor Jadwiga Dzido shows her scarred leg to the Nuremberg court, while an expert medical witness explains the nature of the procedures inflicted on her in the Ravensbrück concentration camp on November 22, 1942. The experiments, including injections of highly potent bacteria, were performed by defendants Herta Oberheuser and Fritz Ernst Fischer. 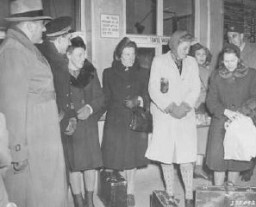 December 20, 1946.